Are Ramps the New Arugula? 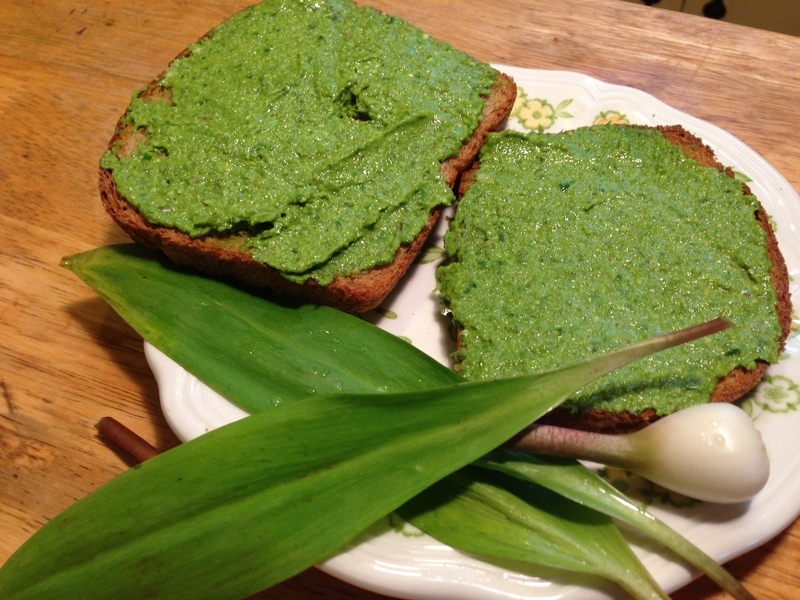 In 1983, ramps (or wild leeks) appeared on the American fancy foods scene with a recipe or two popping up in food magazines throughout the decade. By the late 90s, ramps reached celebrity status as the new, hip ingredient for gourmet chefs from New York City to Chicago for its versatility, unique flavor, and brief season. In short, ramps are fairly rare and comparatively valuable. However, with over a decade of popularity and exposure, one might well ask: Are ramps overhyped? overharvested? overdone? Have ramps lost their cool? A rather pedestrian item, the North American ramp (allium tricoccum) grows in deciduous damp woodlands, emerging in early spring, from March in Southern Appalachian states to May in the Northern seaboard and into Canada. Arguably, ramps were never very chic. Their name derives from their Eurasian cousin ramson (allium ursinum) from the Old English hramesan. Loved by brown bears, wild boars, and humans alike, the ramson or wild garlic has been a European and Anglo Saxon staple from antiquity to the present. The wild, foraged plant has a dense nutritional value and has traditionally been used in regional cuisines, notably from Germany to Italy to Russia, each dish unique to the country of origin. Classic British and Celtic cooking pairs the allium with other seasonal greens such as chickweed and nettles, or wild mushrooms, and includes them in soups, fritters, and puddings. When the pioneers came to the new land, they identified the native American ramp with its cousin and named it accordingly. Some consider the name ramson to come from the “ram” associating the plant with the sign of Aries, the time when the plant grows and is harvested. Most likely the name derives from the Greek cognate krómmyon meaning onion. On the North American continent, the first peoples included ramps in their diet, seasoning their cuisine with its strong flavor. The Menominee called it “pikwute sikakushia” meaning skunk, and the Cherokee developed sustainable foraging practices, replanting the roots to keep the stock growing. To this day across Appalachia, the descendants of the settlers and natives hold festivals to celebrate the Spring ramp harvest. The ramp has a variety of uses. Its leaves are rich in nitrogen, magnesium, calcium, and selenium, and it is known as a spring tonic. The greens are satisfying after a long winter without fresh foods, and the ramps effectively cleanse the kidney and liver. The 2005 documentary King of Stink highlights the influence and importance of the ramp in the Appalachian diet as well as some of the more interesting products that come from it, like ramp wine and pest control spray (click on the title to view the video). Close to Albany, NY, home of The Cheese Traveler, some folks are extending the ramp celebration tradition to New York. 2013 marked the Third Annual Ramp Festival in Hudson, NY where fine chefs from Upstate and New York City showed off their ramp creations. For a gorgeous photo album of the event, check out Linda’s blog post at Wild Greens and Sardines. A variety of dishes graced the festival, held in an old, converted 19th century factory. The fanciness of the event and the quality of the foods seemed a leap beyond ramps’ working class roots. The most common ramp festival pairings are, and have been for over a century, fried ramps, bacon, cornbread, and beans, and depending on the region, barbecued chicken or fried trout. More important than the food itself is the feeling behind what ramps represent. Ramp hunting is a good day or two out with friends and family just having a good time. Processing the ramps is chatting and enjoying one another’s company. Cooking is a celebration of nature’s bounty. Whether or not ramps will stay in fashion in the restaurant world, their presence in folk cuisine and specialty foods remains strong. The resurgence in popularity of ramps for a broader audience brings a classic food item back into the diet. 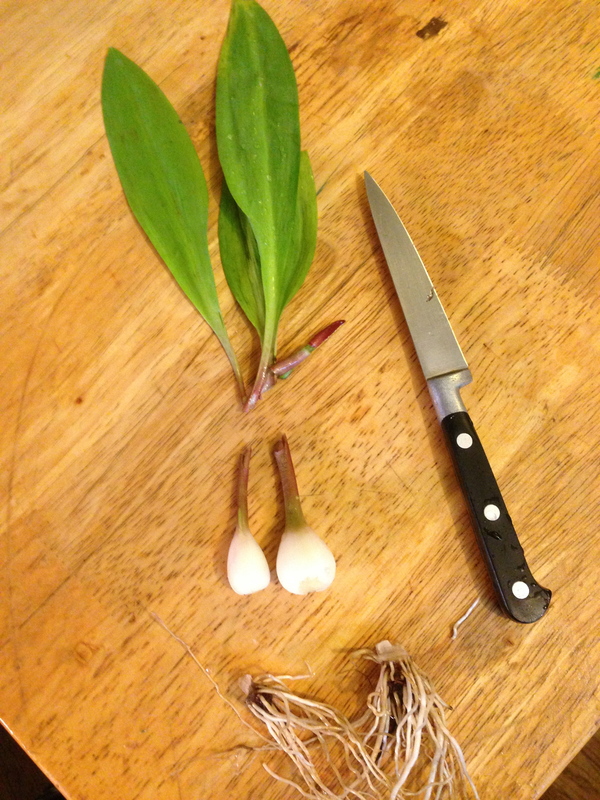 Ramps can be found in season (April-May in NY) at The Cheese Traveler. 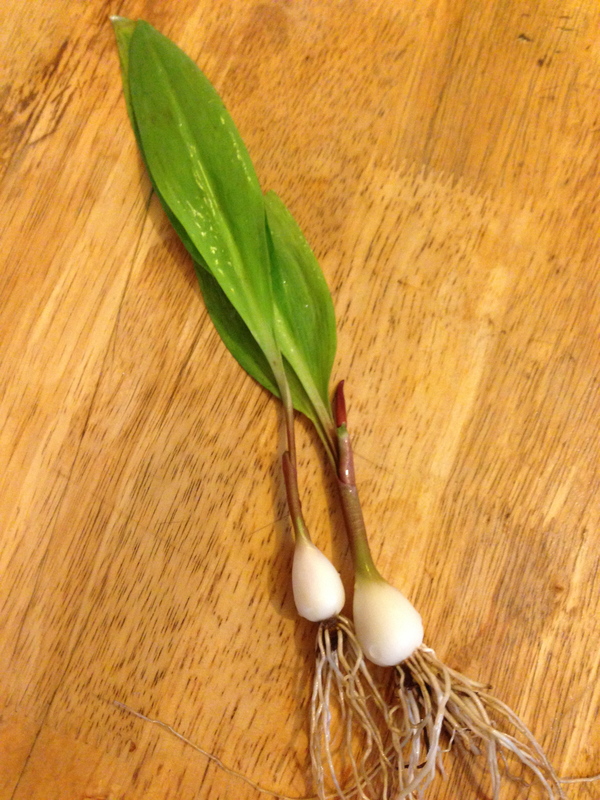 When foraging ramps, Suzie Jones of Jones Family Farm in Herkimer, NY, who makes a fresh ramps chèvre, advises to “take only 10% of what is available” to avoid overharvesting. When possible, replenish with the root stock. 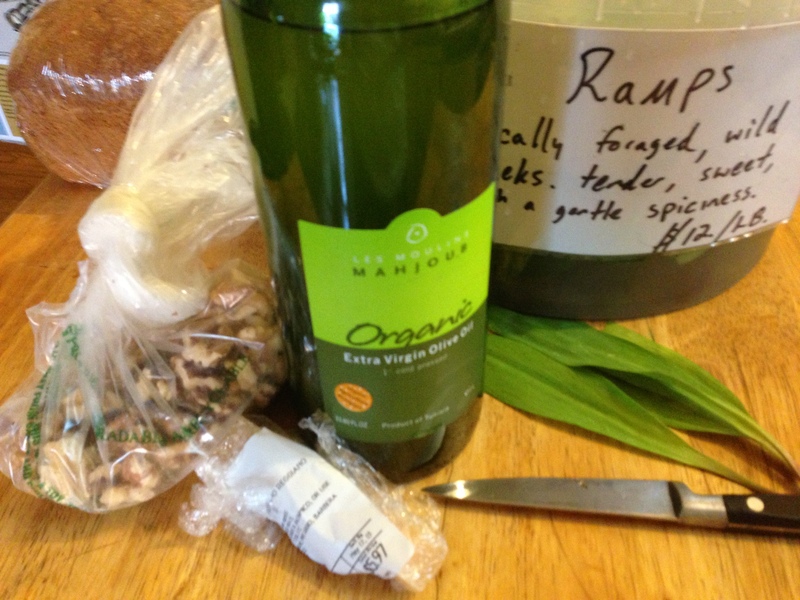 For the close of ramp season, we at The Cheese Traveler recommend a simple puree of the leaves and a pickling recipe for the bulbs. 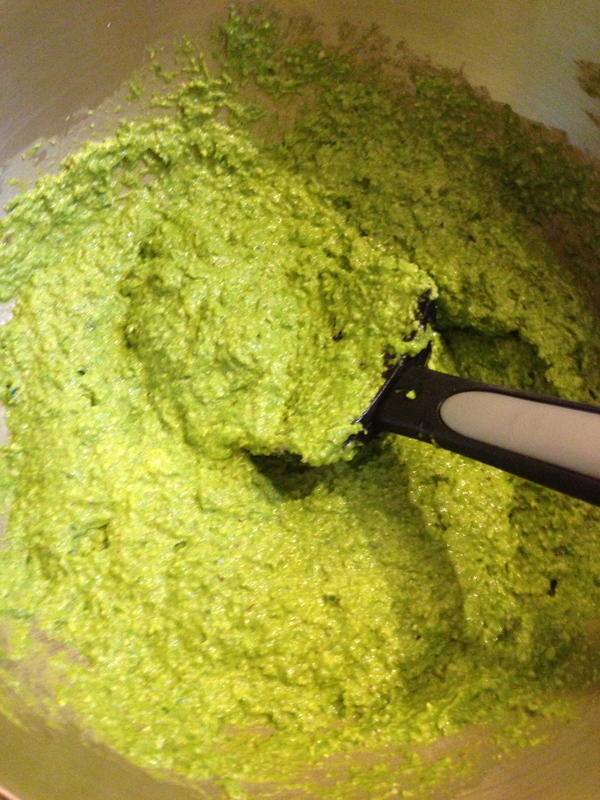 Combine all ingredients in a food processor and blend until the mixture is even consistency. Serve over warm orecchiette pasta or smeared on a slice of fresh bread. Add a slice of prosciutto to taste. Combine vinegar, water, sugar, and salt. Boil and whisk until granules are dissolved completely. 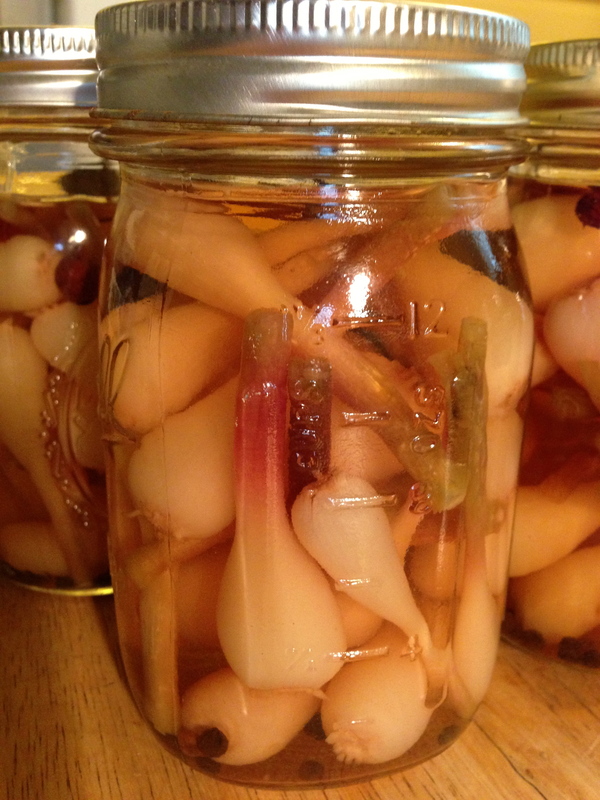 Clean glass pint jars with hot, soapy water to sterilize. Place spices in the bottom of the jar and pack them with cleaned ramps. Pour liquid over the ramps leaving a 1/2 inch headspace. Tap the jar to loosen the trapped air bubbles. Wipe lids and apply a clean lid and ring. Seal jars in a boiling water bath to preserve. If you prefer not to can for long term storage, you can forgo sealing the jars in a boiling water bath. Place the jars in the refrigerator. Let ramps pickle for at least a week before using. They will last up to two weeks.